In 1956 a nuclear reactor was the source of the very first neutrinos ever detected. Reactor neutrinos are born in a process called beta decay, which happens inside the atomic nucleus. 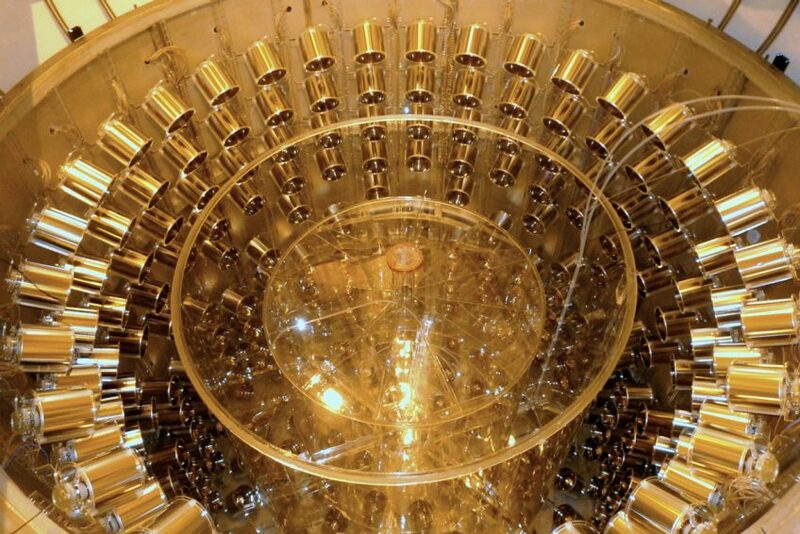 Reactors are incredibly useful for studying neutrinos both because they produce large quantities of them and because they come in only one flavor: electron antineutrinos. When the goal is to study how hard-to-catch particles change, it’s important to know exactly what you are starting with! Reactor experiments, much like accelerator experiments, can position their detectors at a range of distances from the source—the reactor. 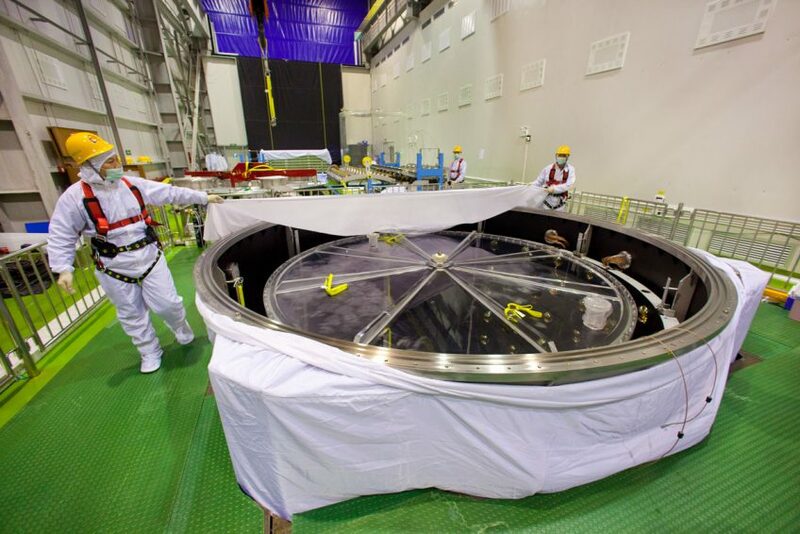 Detectors placed at a variety of distances (called short-, middle-, or long-baseline experiments) give neutrinos different opportunities to oscillate and provide valuable information about how neutrinos change over that interval. It’s the process of fission inside of the nuclear reactor that eventually leads to the birth of neutrinos through beta decay. As particles collide with heavy elements such as uranium or plutonium, the atoms break up into lighter elements and undergo beta decay as they become more stable. 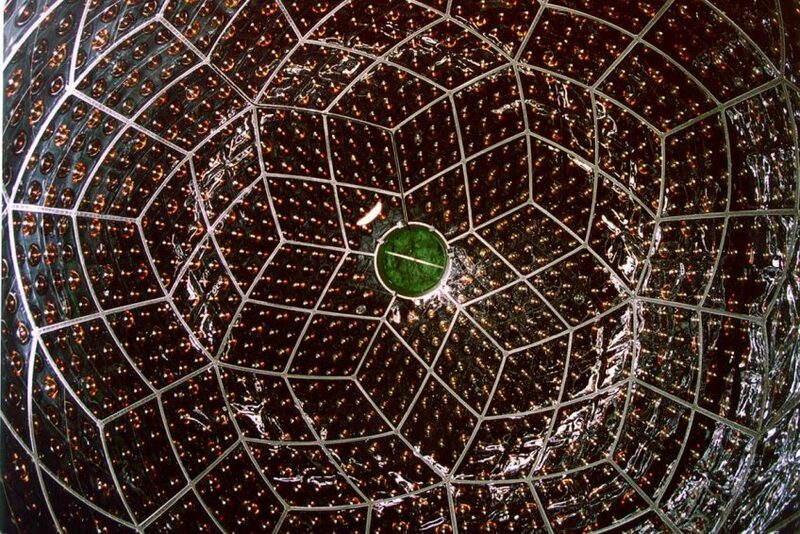 Neutrinos carry away the energy, but are not radioactive themselves. 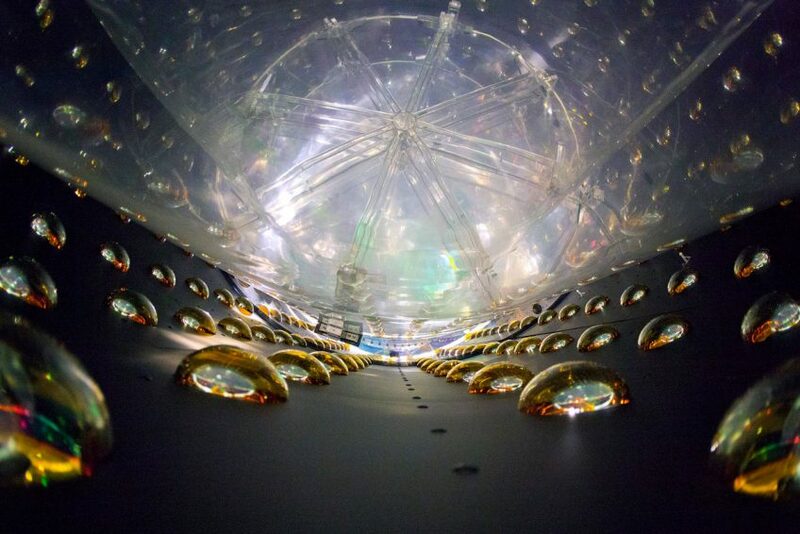 There are lots of different things scientists can measure about neutrinos. One of them is a parameter called theta13, pronounced “theta one three.” Theta13 relates deeply to how neutrinos mix together, particularly how two different kinds of neutrinos (mass states 1 and 3) are related. 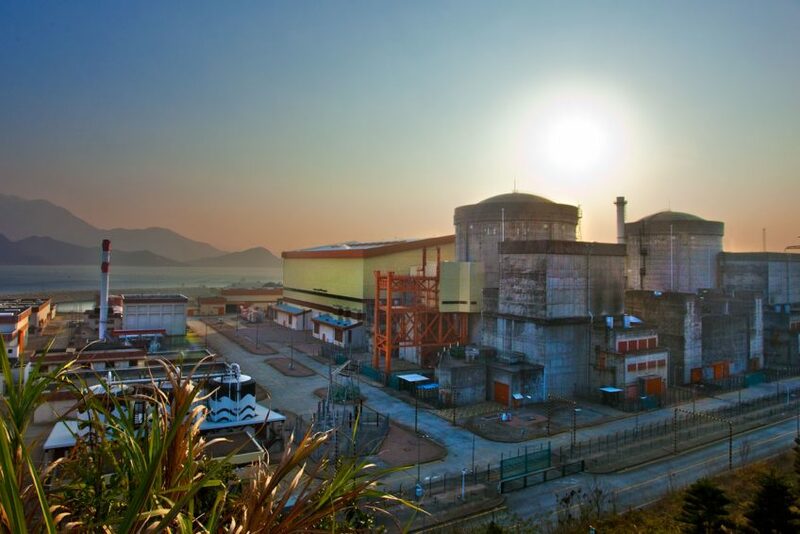 Reactor experiments have been essential for figuring out theta13, as well as other mixing angles. 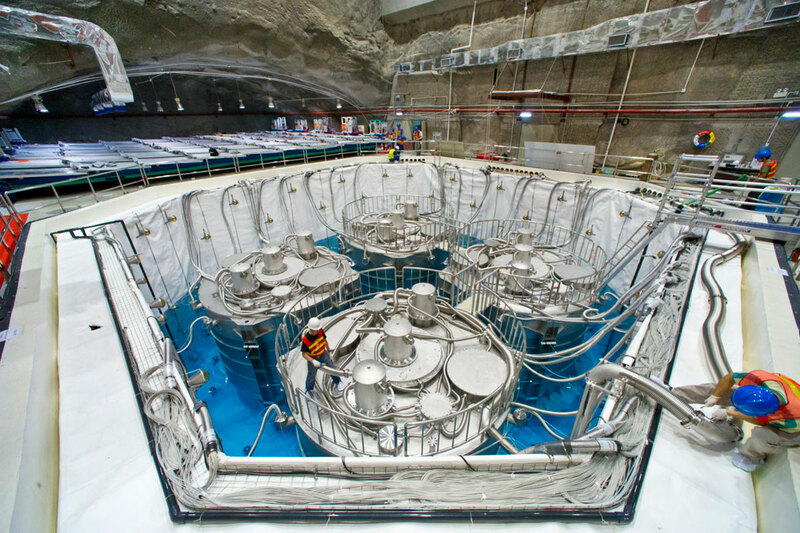 The best measurements of theta13 come from nuclear reactor experiments such as Double Chooz, RENO, and the Daya Bay Reactor Neutrino Experiment. Researchers can calculate theta13 based on the number of electron antineutrinos that disappear as they travel from a near detector to the far detector, transforming into other types. Knowing different numbers such as theta13 helps us understand something fundamental about our universe. Finding precise values enables scientists to look for asymmetries that could hint at undiscovered physics or provide clues to the big lingering questions, such as why matter exists in the universe.